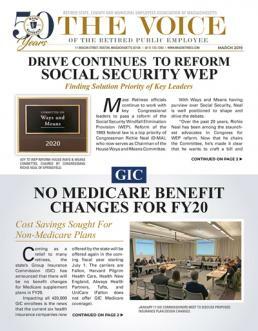 FEBRUARY 17, 2017: In a rare move, the state’s Group Insurance Commission (GIC) unanimously voted this week to lower the newly created office visit copayment for Medicare retirees. As of July 1, office visit copayments will now be $10 (Optional Medicare Extension) and $15 (all other Medicare supplement plans). At its January meeting, the Commission had approved a $20 office visit copayment across all Medicare plans. The revised copayment structure follows a heated and, at times, contentious public meeting where retirees and active employees voiced their disapproval with the recent changes in out-of-pocket costs approved by the GIC in January. Commissioners also amended an approved restriction that closed certain Harvard Pilgrim and Tufts plans to new enrollees. The restriction, first approved last year, is in response to rapidly rising cost increases associated with the now closed plans. However, the GIC heeded calls from retirees and employees from Haverhill and Hingham, towns which have voted to join the GIC this coming July. Since both communities utilized benchmark data from the now closed plans as the basis of comparison with local Blue Cross Blue Shield plans it was deemed unfair to close them to new enrollees from the two towns. Therefore, retirees and employees from Haverhill and Hingham will be afforded the opportunity to choose any GIC plan during the 2017 Open Enrollment period. The GIC is scheduled to next meet on Wednesday, March 1, to approve premium contribution rates for FY18, which begins July 1, 2017. Open Enrollment for FY18 is from April 5 through May 3, 2017.